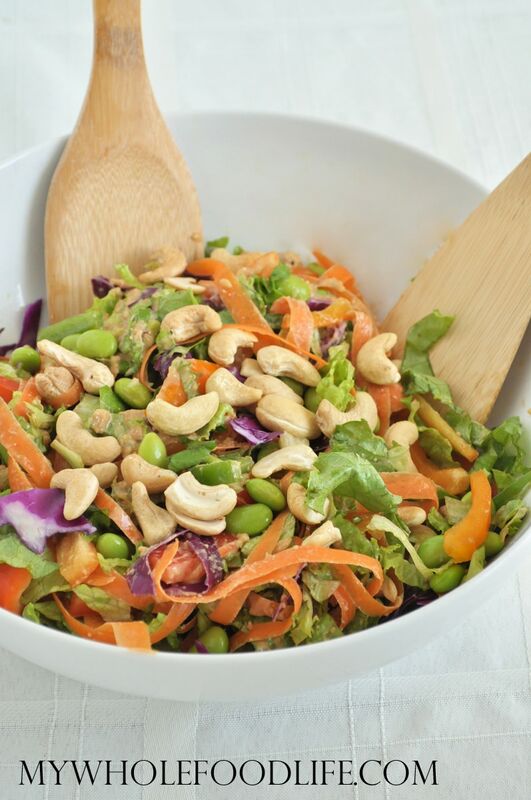 Asian Chopped Salad. I just love salads of all kinds. I eat them all year long. My husband made this Asian Chopped Salad this weekend and it was a huge hit. I can see it going in our regular rotation. This recipe makes a lot, so it would be great for parties. For the dressing, he slightly tweaked our Thai Peanut Sauce recipe and it came out great! If you love salads too, you may also like this post. 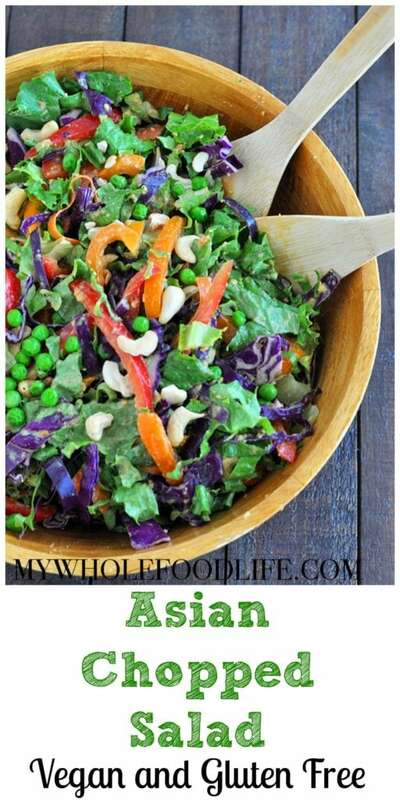 I also have a post filled with salad dressing recipes that is worth checking out. If you are avoiding soy, you can use green peas instead of the edamame. I also think toasting the cashews would give them an extra punch of flavor. This salad is vegan and gluten free. Want to make this recipe? Watch the video below. For more videos, you can check out my YouTube channel. Perfect for parties. 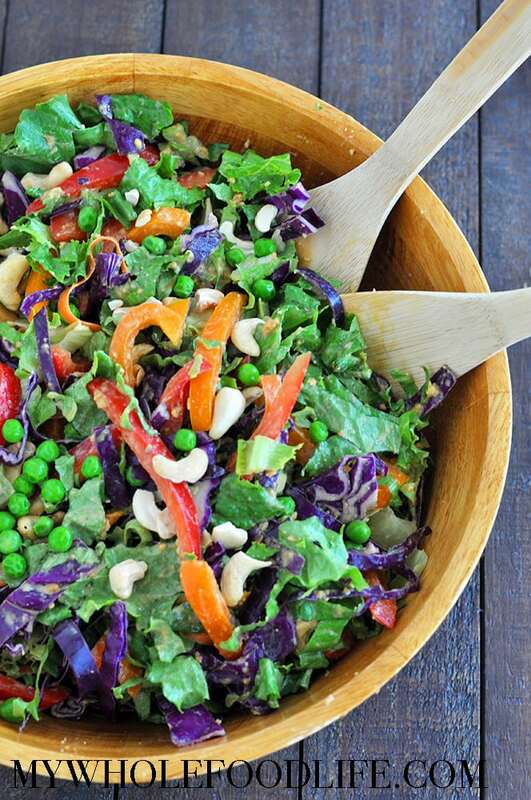 This salad feeds a crowd! In a large bowl , mix together the salad ingredients. In a small bowl , mix the dressing ingredients. Pour the dressing onto the salad and toss well. 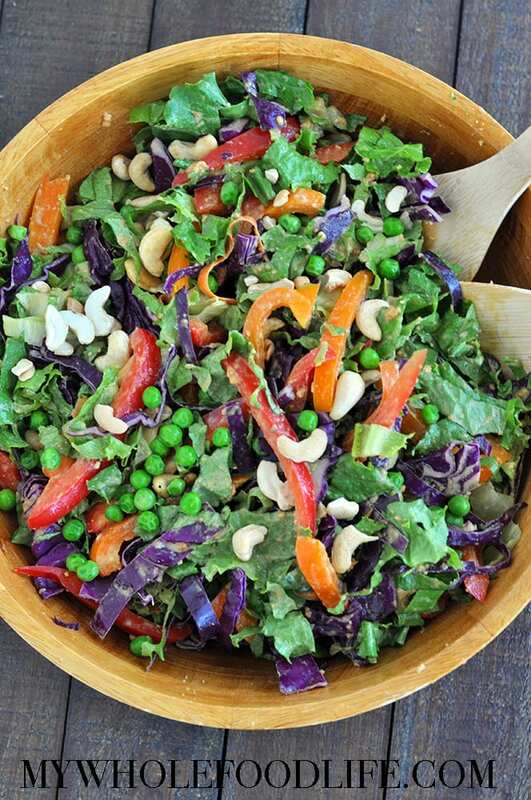 This salad should keep for at least 4 days in the fridge. If you want it to last longer, you can keep the dressing separate from the salad. Enjoy! I cannot wait to try this...looks so delicious. Yum! This looks amazing. I'm going to add a little chopped Cilantro too. Thanks! I love how colourful this salad looks!!!! I can't wait to try it!!!! This looks SOOO much better than the bagged version of this salad. Can't wait to make it! Thanks bunches!